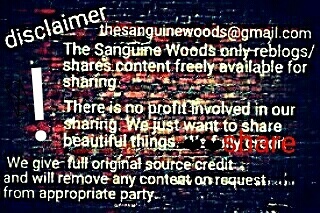 The Sanguine Woods (TSW) was started by writer, editor, poet, and blogger Mick A. Quinn in 2012 as a literary blog. He wanted a place where he could feature fiction, graphic design/art work, photography, poetry, and thoughts on the work of others in those and other creative areas. TSW quickly took on a life of its own, going off into areas such as the “Fortean” and the macabre; the socially conscious; the darkly photographic; many things “Lovecraftian”; and even the poetics of song lyrics. TSW now covers a miscellany of topics about which Mick is passionate. Mick is editing his first anthology of vintage ghost stories, which will be published in December 2019 (Vol. I) and October 2020 (Vol. II) by Wick Press: The Greatest Ghost Stories Ever Told, ed. by Sanguine Woods (Mick’s penname) please follow this effort (link below) and support him! Mick’s other blogs include a fiction blog, The Starving Writers Club; and a food blog featuring recipes he’s tried himself and swears by, The Colorado Cucina. Mick also dabbles as time allows in the ever-interesting areas of UFOs, high strangeness, ancient aliens, forbidden archaeology, and conspiracy theories at The Extraterrestrial Highway. Sanguine, thank you for following Flaggfan, it’s much appreciated! ...my new adventure living in the country. Join us on our journey through Celiac Disease! Come hither every one that thirsteth.